New bird here who is in need of help! Currently, i am driving a w204 c200 kompressor model'08. 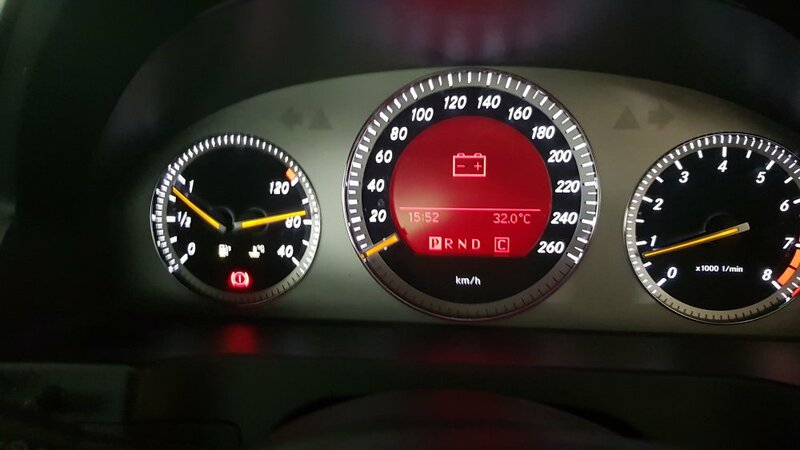 The Battery Sign appeared on my car this evening, was wondering whether Is it battery low or alternator problem? The Battery was last changed in Feb'17. Lets say if it is alternator problem, do you all suggest getting a OEM/Recon set or just repair the alternator? And any idea what is the average price for each? did u see this message just after you crank up the engine or during mid way driving? 4 select “vehicle data”, it should display voltage...and ampere.. Thank you so much for the information. It appears during mid way driving. Recently,I sent my car C180,W204-2012 to Autobacs for servicing.Being told my battery only got 60% juice left.Got to change which cost me $480+$20. Do I wait the dash display appear or change now? Which brand quoted? $500 seems high for W204. You may wish to search for agm battery in the forum to get the supplier infor which some members have change with before.